Custom Store Home Page, Custom Logo, Categories, Search Box, Invoice Logo, Profile Page Logo, Listing Template, Store Newsletter, On-Site Training for employees in all departments. 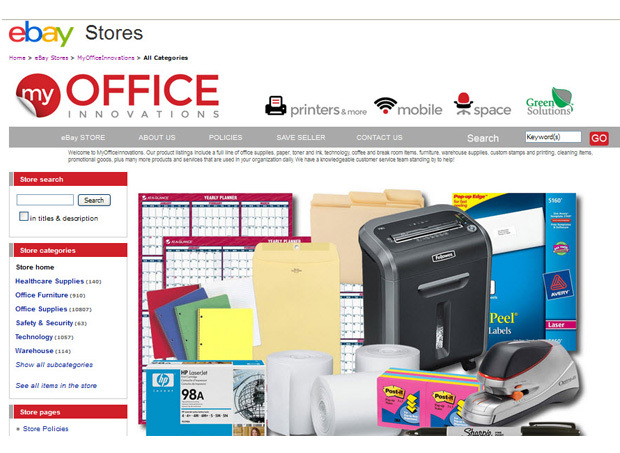 Bruce heads up a large corporation in the office supply business. They had a very profitable presence on Amazon and wanted to branch over to eBay. We incorporated their company logos and designs into their eBay site, matching existing branding. John and I provided a week of on-site training on eBay and Blackthorne, as well as an additional six months support and consulting.